Welcome to Mountain Ash Crafts, your No.1 award winning creativity store. Specialising in Card Making and Scrapbooking, we are dedicated to supplying the latest and best quality craft materials. Our stock is constantly refreshed with new introductions and ideas from the craft market. 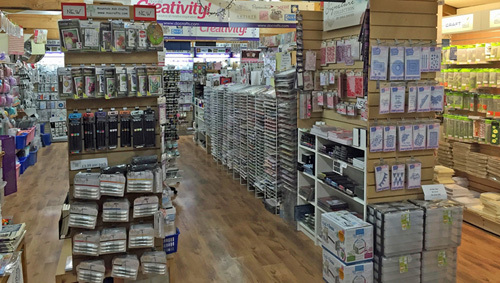 We are also a DoCrafts Platinum stockist offering the latest Creativity Essentials. Passionate about serving the needs of our valued customers, we work hard to provide what we are asked for and source products from a wide range of specialist manufacturers and suppliers across the crafting world. We are conveniently located within Halfpenny Green Vineyards , an excellent choice for a pleasant day out. 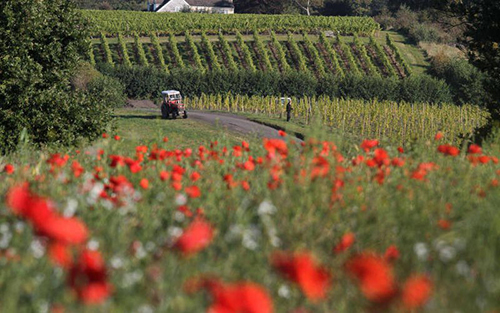 This is a working vineyard offering free parking adjacent to the visitor centre with its wine shop, Craft Centre and Licensed Tea Room/Restaurant. So, if you are in the West Midlands/South Staffordshire area, drop in and see us and Get Crafty! with Mountain Ash Crafts. Monday to Friday 10.30am to 4.30pm. Halfpenny Green Vineyards offers a pleasant and peaceful day out in the delightful South Staffordshire countryside. Open to the public 7 days a week with free parking. This is a working vineyard from grapes to bottle. Take a vineyard tour and see the vines growing in the gently rolling south facing site then sample the wines in the shop. The traditional English Tearoom offers everything from breakfast, through home cooked lunch to afternoon tea. Relax in the comfortable conservatory with a coffee or maybe something stronger. The Craft Centre presents a number of working craftsmen and women offering inspiration and gifts for all the family.